A tropical storm that was threatening southern Vietnam has weakened and is expected to dissipate within 48 hours. The Weather Prediction Center says Storm Tembin, with wind gusts up to 58mph (93km/h), is 170 miles south-southwest of Ho Chi Minh City, and is moving westward. Nearly a million people were earlier told to prepare for evacuation and some 70,000 were moved from low-lying areas. Tembin killed at least 240 people as it swept through the Philippines. Rescuers are searching for more than 100 people still missing. 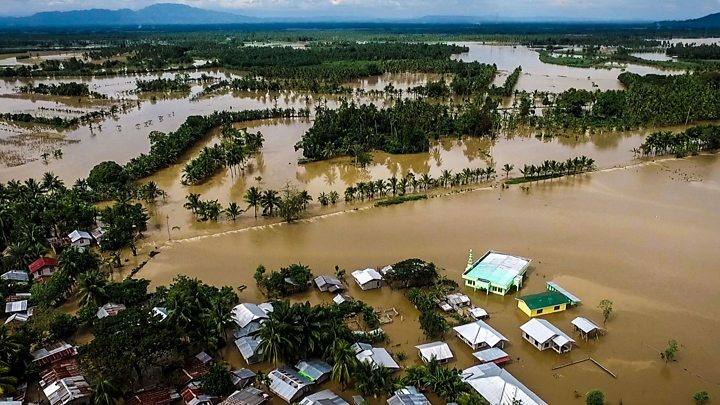 Bridges and roads on the southern island of Mindanao were destroyed or blocked by landslides, while nearly 1,000 houses were wrecked and many rice fields washed away. In Vietnam, the government earlier ordered oil rigs and vessels to be secured and warned that about 62,000 fishing boats should not go out to sea, Reuters news agency reports. "Vietnam must ensure the safety of its oil rigs and vessels," Prime Minister Nguyen Xuan Phuc was quoted as saying. "If necessary, close the oil rigs and evacuate workers." 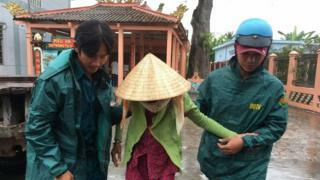 In the southern province of Bac Lieu, residents from a fishing village were moved to different schools that have been turned into shelters.